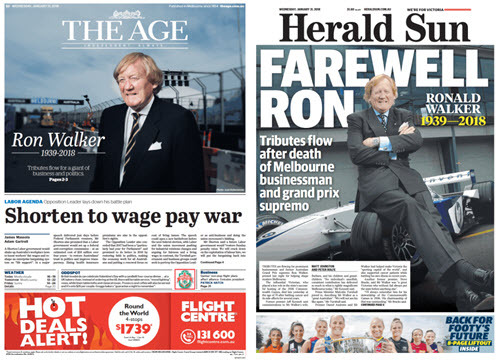 Who really did the best out of the Walkleys? It depends on which publication you read. How newsworthy is a horse killed at the Melbourne Cup? Not very, according to the vast majority of media outlets. Mark Knight's cartoon was unmistakably racist, but the bigger story here is how News Corp Australia's unique brand of racism is embarrassing the company's global brand. We are small nation, but punch well above our weight when it comes to blithe racism. 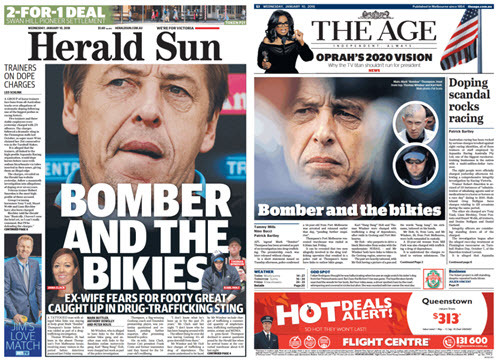 News Corp seem to have a concerted and sickeningly malign campaign to whip up racial hatred. We need to challenge simplistic notions that such media "reflect" opinion. Barbie dolls and Thomas the Tank Engine would be banned in Victorian libraries according to an impressive scoop in the Herald Sun. Trouble is, that's not quite what the original research said. The Herald Sun has incorrectly identified a picture of a young girl who died in a road accident in Melbourne. And other media tidbits of the day. A Guardian Australia crowdfunding campaign for a new series has already exceeded its target of $50,000, and is now asking for $150,000 to support the environmental reporting. Melbourne Lord Mayor Robert Doyle relied on a network of influential media and PR personalities to secure his mayoralty. Now, it seems, not even they can save him. Breitbart executive chairman Steve Bannon has left the organisation amid a row over comments he allegedly made were reported in Michael Wolff's new book about Donald Trump.